Our local real estate market is heating up this winter. As a homebuyer, there are a few things you need to do in order to be successful in this fast-paced market. The weather is getting chilly, but our local real estate market is heating up. If you are buying a home, I have three tips to help you prepare for our fast-paced market. 1. Set up immediate property alerts. Everyone starts their home search on the internet these days, so it’s important to make sure that you set up immediate property alerts. Bigger companies like Zillow, Trulia, and Realtor.com only put properties online when they feel like getting around to it. The key to getting immediate notifications about properties is to stay local. For instance, you can register on my website, www.FindLouisvilleListings.com, and get immediate property alerts. We update our listings from the MLS every 15 minutes. Our team is also constantly searching for your home. We will update you as soon as a property that meets your criteria hits the market. It’s important that you are the first one to know when a home hits the market; if you are the second or third to know, it may already be too late. There are a lot of part-time agents out there. A part-time agent simply won’t cut it these days. You need someone who is truly dedicated to finding properties that match your criteria. As I said before, if you don’t know about a home as soon as it hits the market, it is probably too late to buy it. Everyone in the Todd Martin Group works full-time. We have your best interests in mind, and we want to get you the best house possible. I also recommend working with an agent who specializes in your needs. Don’t work with a jack-of-all-trades. Hire a buyer’s agent. A buyer’s agent will devote 100% of their time to finding you a home. Other agents have to split their time between homebuyers and sellers, which is not ideal for buyers in today’s competitive seller’s market. 3. Be prepared to make an aggressive offer. I know this sounds harsh. Back in the day, you could look at the property, come back for an open house, look at it one more time, and sleep on it before deciding to make an offer. There simply is no time to waste in our current market. The best thing we can do is walk into the home search process prepared to make an aggressive offer. One thing that you can do to strengthen your offer is to get pre-approved before you start looking at homes. That way, you know exactly what you can afford and won’t waste time looking at homes above your price range. Submitting an offer with a pre-approval letter also shows the seller that you are serious about purchasing the home. 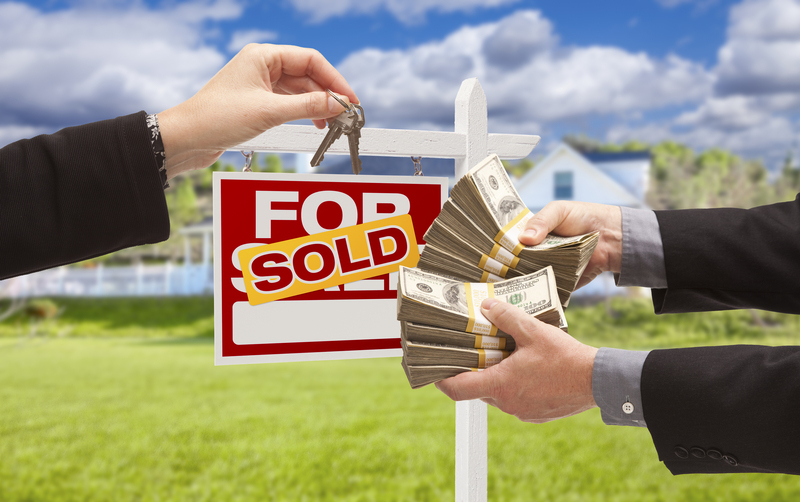 There are a few other things you can do to make your offer more appealing to sellers. We have a number of different strategies to help you get the home you want without overpaying for it. We can help you make that offer so that you still come out ahead. We will create a win-win situation, so ask us about our best strategy to get you into the house. If you have any other questions about buying a home in this fast-paced market, just give us a call or send us an email. My team and I would be happy to help you!